On Monday, the U.S. Supreme Court ruled 5 to 4 that it was okay for Ohio to remove people from voter registration rolls if those voters skip a few elections and also fail to respond to a notice from election officials. Ohio claimed this was necessary for the proper upkeep of voter registration lists and to prevent voter fraud. The case had been closely watched across the U.S. because Republicans have been pushing for such restrictions without much actual evidence of fraud, while Democrats have often seen such moves as attempts to suppress voting. 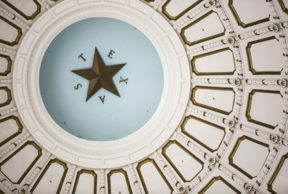 What does the court’s ruling mean for Texas? Ed Espinoza, executive director of Progress Texas, which advocates for progressive policies, says the impact of more aggressive voter roll purges in Texas could be significant. It’s unclear what standard the state, or other voter jurisdictions, would have to meet to remove a voter from the rolls after missing an election. And Texas has a lot of elections. Espinoza says it’s likely the Republican-led Texas legislature will enact a voter purge similar to what happened in Ohio. He speculates that a roll purge triggered by a voter not responding to a mailer could lead not only to that person’s name being removed from the rolls, but also the similar names of other voters. Espinoza says everyone, not just those on the progressive side of the aisle, should be concerned about the possibility of dramatically reduced voter rolls. Republicans have said that regularly pruning voter rolls reduces the chance of voter fraud, because the names of voters who have moved or died can’t be used to cast an unlawful vote. In fact, there is little evidence of voter fraud. Espinoza says people who are entitled to vote being turned away is a more serious problem.